Great Western provides your music playground equipment needs in southern California, Nevada, Utah, Wyoming, Idaho, and Montana. We're your local providers of outdoor music play equipment. 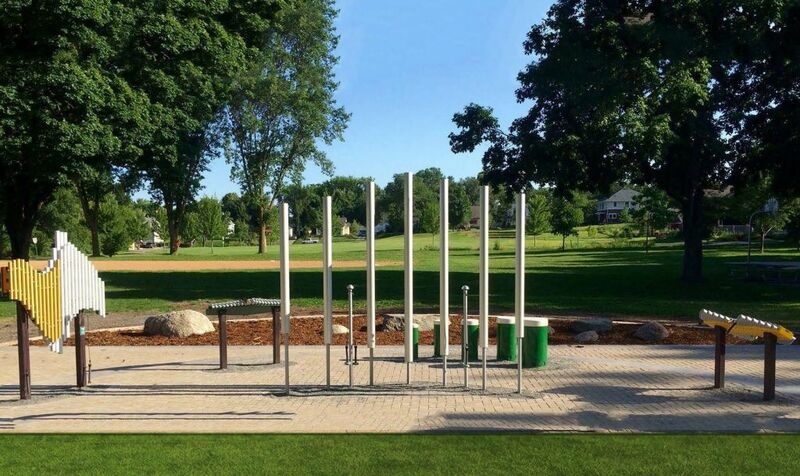 We offer Freenotes Harmony Park equipment, which is the industry leader in outdoor musical instruments. Invented by Grammy Award-Winning musician Richard Cooke more than 20 years ago these innovatively designed instruments are durable, sustainable, and perfectly tuned sound sculptures that enhance any outdoor space.